The continent of Africa is just one of those 'once in a lifetime' places you have to visit. Although after you've visited once you'll want to return time and again. What better way to explore Africa than to do it on your honeymoon holiday. Honeymoons across Africa take place in many different forms, from safari experiences, to relaxing beach breaks, to more active hustle and bustle city honeymoon locations. Or you may even be looking for a honeymoon hideaway, if so... we can find you one. Give our team a call to find out more information about our exciting offers. We have the perfect location and activities for you both when visiting Africa! Africa is one of the top holiday destination locations in the world and millions of people travel here to this continent every single year. Africa is a beautiful destination that has plenty to see and do, as well as comfortable transportation options, stylish hotels, and much more. If you are looking for a safari, beach experience, shopping, or some other fun activity to fill your holiday time with, there is lots for you to experience in the beautiful continent that is Africa. Don't miss the chance to visit this amazing place. When it comes to popular areas within the continent, Algeria is Africa's largest country by area, and Nigeria is the largest by population. There are many different countries in Africa, territories and regions, some of the most popular are Kenya, Egypt, Morocco, Mauritius, Namibia, South Africa, Nigeria, and many others. The currency is different depending on what country that you visit, although many fine establishments more than likely carry methods of credit card payment as well. Quite often there are places in the airport or hotel that will assist you in changing your money or purchasing some of the country's official currency so that you can shop and get around. Whether it is for a romantic honeymoon getaway or just a fun holiday, there are many reasons why you should visit the top destination that is Africa. You can build your own package so that your honeymoon meets your own specific needs and caters to your own ideas. If you want to go to the beach you can do that, depending on what country you choose, or if you want to go explore on a safari you can do that as well, there are many options so that each and everyone can find something for them in this beautiful place. There are plenty of travel options for you in Africa, for if you want to travel on your own in high class style or if you want to take more modest transportation and perhaps travel with a group. 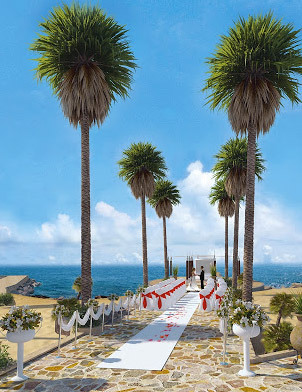 You can think of your own ideas on how you want your honeymoon to meet your needs and more than likely, venues in Africa will have what it is that you are needing and they will be more than happy to serve you. You do not want to miss the chance to get to this breathtaking continent or to see one of its many beautiful and exotic countries. There is so much different culture and experience to take in, making Africa your travel destination will ensure that you have the best possible time of your life. There are many services in Africa that can help you have a truly authentic experience if that is what you are looking for. Also, for those who don't want to leave the comfort of home too far behind, you can easily find suitable hotels with luxury sleeping arrangements, great restaurant locations, and much more to satisfy your every need. Africa has all that you could ask for in a dream honeymoon destination. when it comes to Africa, it has everything that you could ever need and then some. It is the perfect place to visit if you are looking to have an amazing experience. It doesn't matter if you are 90 years old or 20 years old, because Africa has something for everyone to enjoy. This is a place that many people can only ever dream of visiting in their life, so do not miss out on the chance to visit if you can. You will not regret the choice to take-in all that Africa has to offer. Join the millions of others who have already visited and see for yourself why so many love and continue to come back to this great destination.